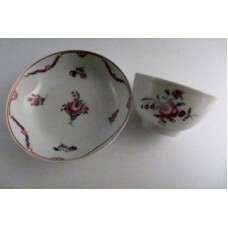 A variety of SOLD New Hall wares from this Staffordshire Pottery dating from c1781 -1835. 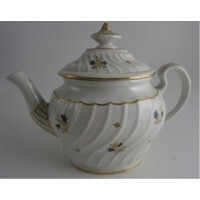 Included are some of the typical New Hall shaped and decorated pieces some with hand painted flowers, Chinese, Imari or classical decoration. 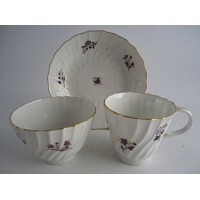 None of these items is available and is provided for reference purposes only. 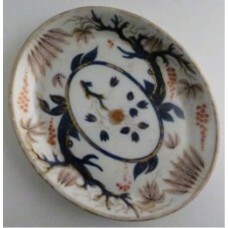 A pretty oval tea pot stand, made at the New Hall factory, c1795-1810. It is decor.. 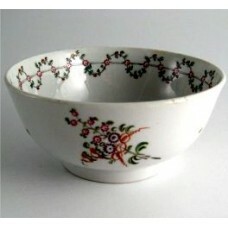 This is a very attractive New Hall slops bowl decorated with pattern number 191 and dating from c179.. 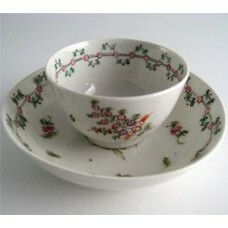 This is a very attractive New Hall tea bowl and saucer decorated with pattern number 161 and dating ..